This one day advanced restorative training will introduce new postures and sequencing specifically designed for the winter months. We will examine the effect the winter season has on us from both a western scientific eye as well as an Ayurvedic perspective and appropriate applications of restorative yoga. 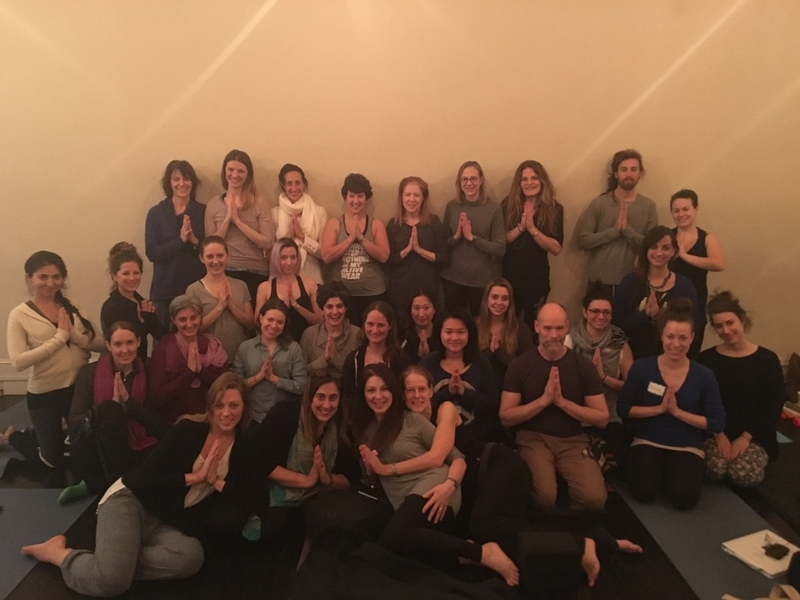 You will learn how to integrate visualizations, pranayama, mantra, and essential oils into restorative yoga ideal for winter/ and its kapha imbalances, as well as how to adapt the new postures and sequences introduced for various injuries and physical imbalances. 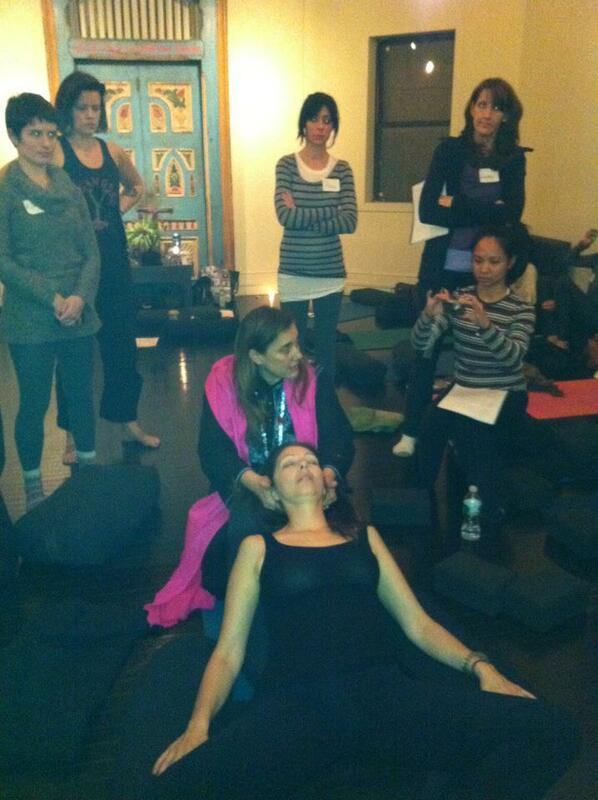 Students will learn how to develop a restorative home practice and how to apply it therapeutically for stress related illnesses such as asthma, bad back, Prenatal etc. This training will focus on developing practical skills. Trainees will work with fellow students to develop an “eye” to see physical misalignments and know how to adjust them. 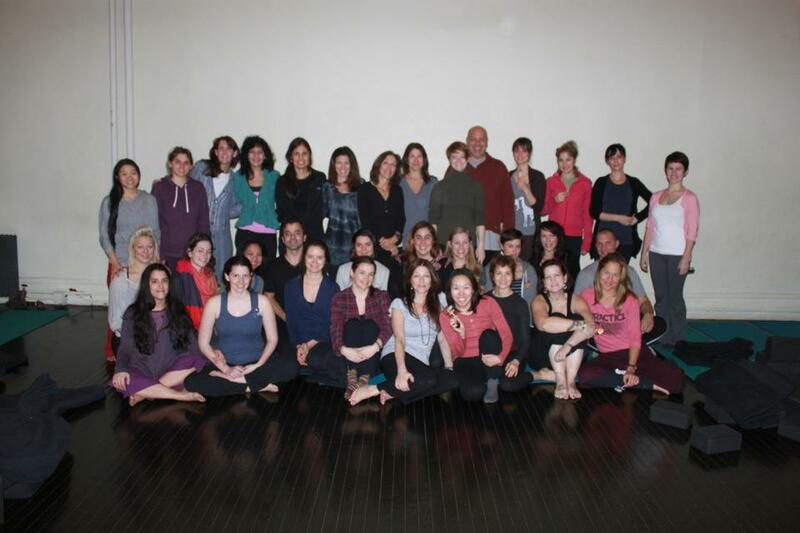 Trainees will practice tuning into the subtle energetic field of their students, learn hands on adjustments, practice teach restorative poses and yoga nidra, and also experience two restorative classes, one with Gina and one with Mona. 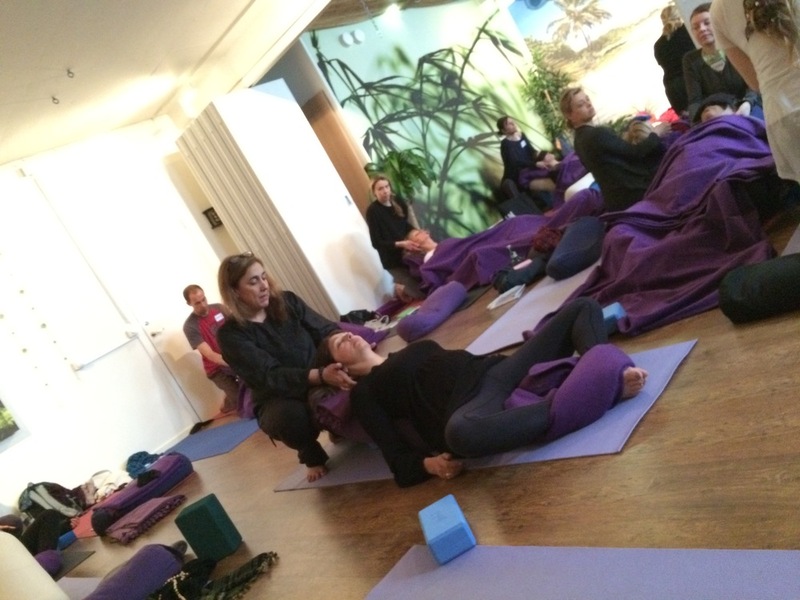 How to teach restorative yoga including the benefits and contradictions of key poses. 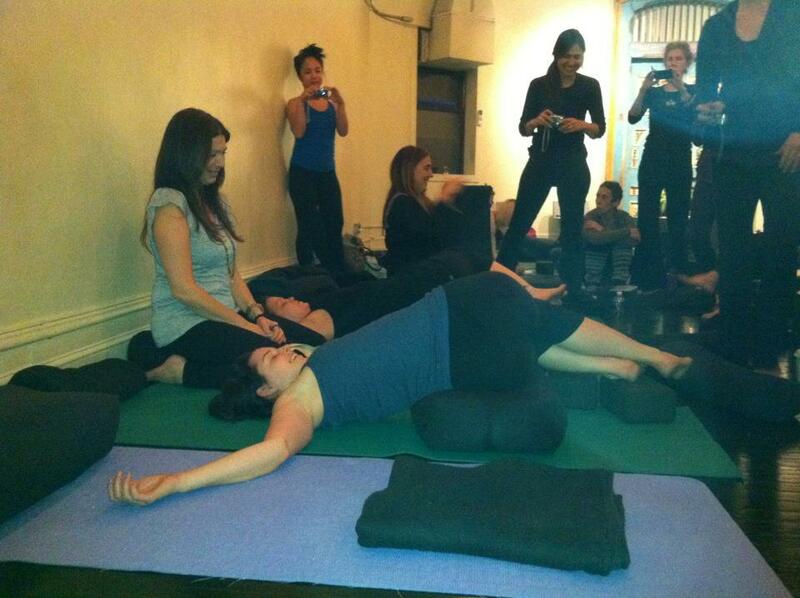 How to work with a variety of props in restorative poses for classes, privates and a home practice. 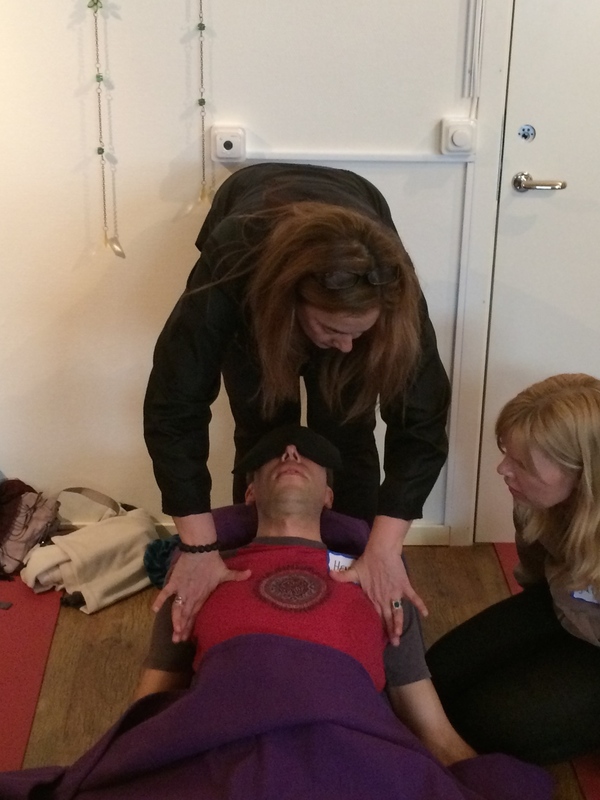 Restorative Training Level 1 will focus on developing practical skills. Trainees will work with fellow students to develop an “eye” to see physical misalignments and know how to adjust them. 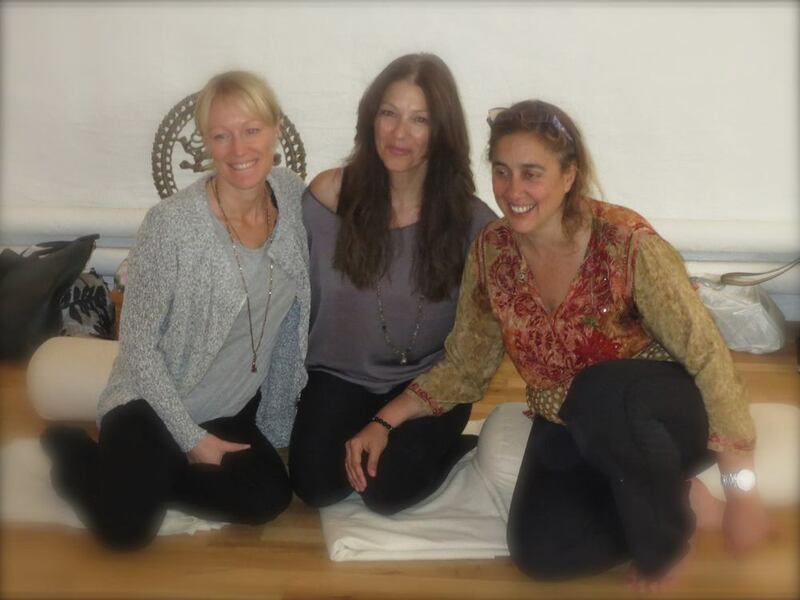 Trainees will practice tuning into the subtle energetic field of their students, learn hands on adjustments, practice teach restorative poses and yoga nidra, and also experience two restorative classes, one with Gina and one with Mona. A certificate of completion for this program will be issued to those who have successfully completed the written assignment and attended all of the 20 hours of the course.